A drug already approved to treat multiple sclerosis may also hold promise for treating cardiac hypertrophy, or thickening of the cardiac muscle–a disorder that often leads to heart failure, researchers at the University of Illinois at Chicago College of Medicine report. The findings are published in the July 16 issue of Circulation: Heart Failure. 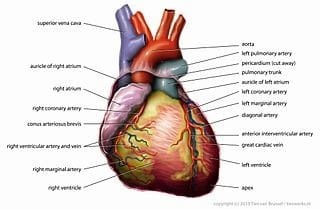 Cardiac hypertrophy is a slow thickening of the heart muscle that shrinks the interior volume of the heart, forcing the organ to work harder to pump a diminishing volume of blood. “There comes a day when the heart just can’t keep up any more, and it fails,” says R. John Solaro, UIC distinguished university professor and head of physiology and biophysics. Cardiac hypertrophy, which afflicts one in 500 people, can be caused by high blood pressure or inherited through genes that control contraction of the heart. Solaro and his colleagues believe that if the thickening of the heart muscle could be slowed, or maybe even reversed, heart failure could be prevented. Solaro and his UIC colleague Yunbo Ke, research assistant professor of physiology and biophysics, were interested in a chemical derived from a fungus used in traditional Chinese medicine as an eternal-youth nostrum. That compound, designated FTY-720, has been developed into a drug to treat multiple sclerosis and is a chemical cousin to the drug most widely used to suppress the immune system and prevent organ rejection in transplant patients. Using an experimental mouse model of cardiac hypertrophy, Solaro and his team found that FTY-720 significantly reduced heart mass; lessened fibrosis, or stiffening of the heart muscle; and improved overall cardiac function in the mice that received the drug. “We saw that FTY-720 blocked the activity of a protein we know is involved in causing heart-cell thickening,” said Solaro. When that protein is blocked, he said, collagen and other proteins involved in heart-cell thickening are also down-regulated. “When the heart muscle is stiff, it actually takes effort to relax the heart and allow blood to flow into the ventricles, so this is another way this disease causes the heart to work harder than it should have to,” Solaro said. “FTY-720 is a potential therapy to treat this disease and prevent heart failure for people where the disease is acquired through high blood pressure, and possibly inherited hypertrophy as well,” he said.